« Carson McCullers turns 100. Poet Sue Brannan Walker gets busy. 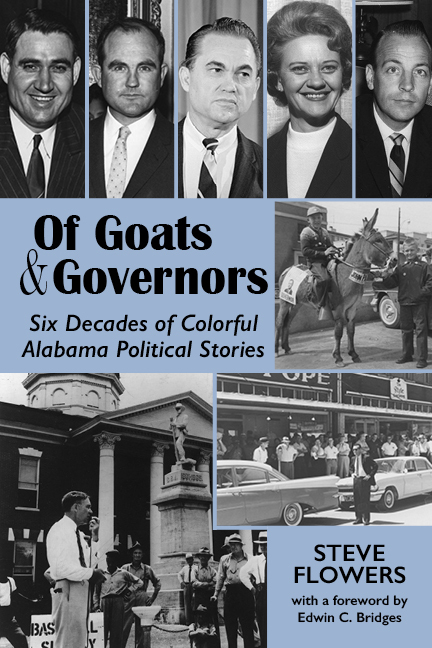 NewSouth published his book Of Goats & Governors: Six Decades of Colorful Alabama Political Stories in 2015. Steve continues to cross the state speaking about the antics of legendary Alabama governors George Wallace, “Big Jim” Folsom, and John Patterson, among others. His award is a tribute to his devotion to all things political in the state of Alabama. Congratulations, Steve! Of Goats & Governors is available from NewSouth Books or your favorite bookstore.